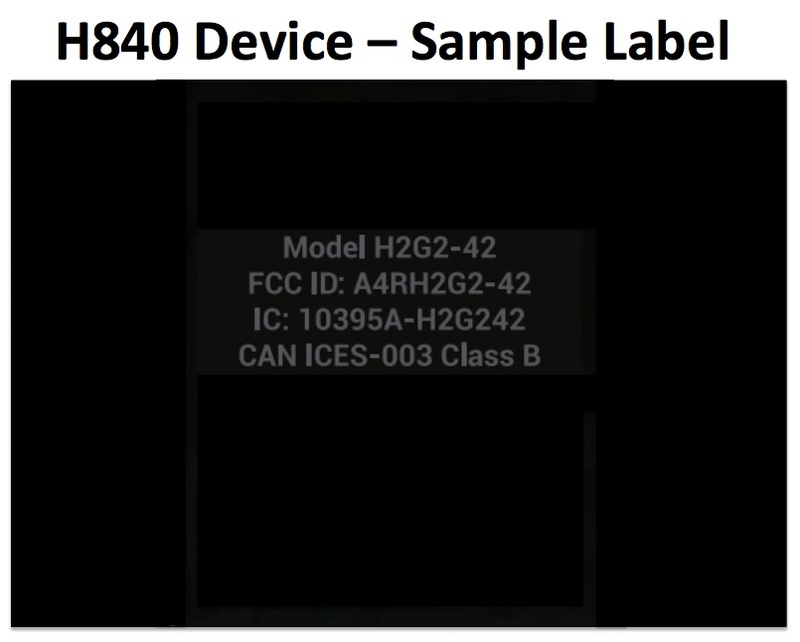 A new device made by Google recently made its way through the hands of the FCC with model number H2G2-42, product name of “H840 DEVICE,” and a description that says it “functions as a media player.” Yes, a media player. 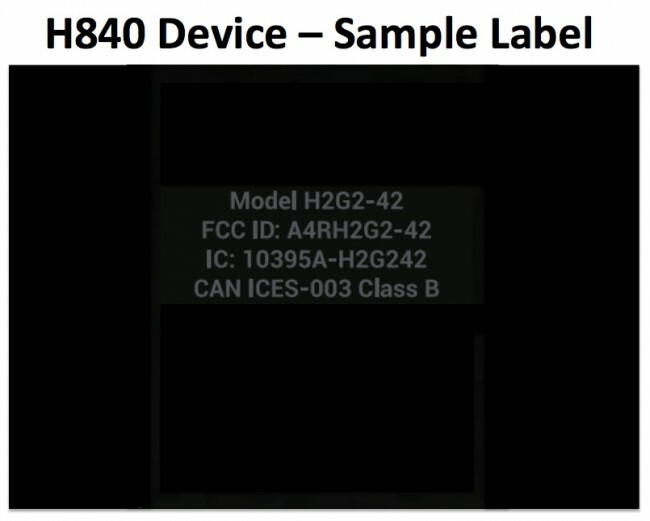 This new device is powered by an external source (AC adapter), so it’s likely not a smartphone or tablet, can connect via WiFi over 802.11 b/g/n, and has the ability to be hooked up to a display. So what is it? The FCC filing only gives us what I just listed, so it’s tough to tell. One thing we do know is that Google made a media streaming device last year with all of these characteristics, which you may be familiar with as the Nexus Q. As you know, the Nexus Q did not arrive again at Google I/O after failing to launch after last year’s unveiling, nor did many things that most of us were expecting (new Gmail, new Nexus 7, etc. 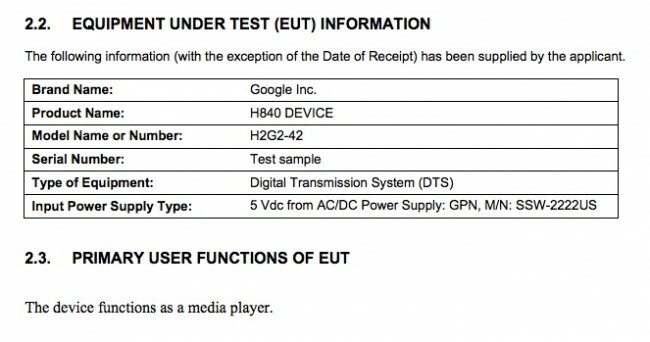 ), but sources of ours told us a week ago that there is another Nexus Q-like device potentially in the works from Google. It’s currently codenamed “Wolfie,” has an RGB LED light, and when (or if) it is released, will have an “emphasis on gaming.” We still aren’t sure if this is it or if we’re even going to see it reach customers hands. With that said, FCC filings are almost always a good sign of things to come. Plus, we would love to see Google make up for the current Nexus Q situation. The current model has suffered from streaming errors for months now. And with the newest release of Google Music, the current Q is no longer even supported (at least for the time being).